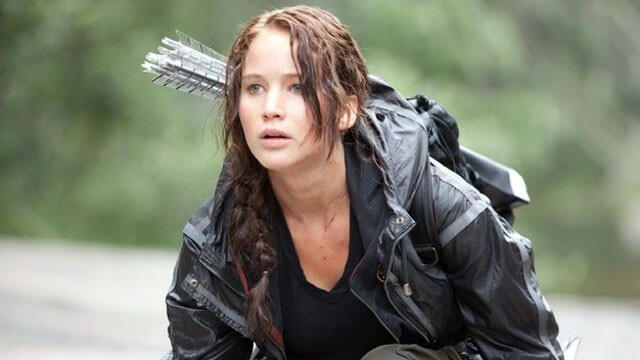 Will Katniss defeat Darth Vader and destroy the One Ring? For a fairly devoted sci-fi nerd, I know remarkably little about The Hunger Games. I know that there are some sort of games involved, and that these games have something to do with some type of hunger situation. I know blah blah something something the Capitol. I know that my smart friends like to point out that our society's seemingly insatiable appetite for a movie portraying children murdering one another for the amusement of a fictional corrupt and decadent society is, from a certain somewhat reasonable perspective, not all that different from that fictional corrupt and decadent society's thing for bloodsport. Whenever someone tells me something to that effect, I act like I haven't already heard and read that exact same idea a couple dozen times already because I don't want to take away from their moment. And now, thanks to an article in Wired, I know that the film's score—but not its T-Bone Burnett-produced soundtrack—contains bits of a nine-minute synthesizer piece recorded by an obscure pioneering electronic artist named Laurie Spiegel. While recording "Sediment" in her tenement apartment in Manhattan, Spiegel used a semi-modular Electrocomp 200. She recalled having to turn her refrigerator off to keep the analog synthesizer in tune. "It was a five-room apartment running on a single 15-amp fuse," she said. "When the refrigerator went on, half the oscillators dropped by a quarter tone. . . . I had to turn the refrigerator off, or it would ruin the take." "Sediment" is a hypnotic assemblage of layered, otherworldly sounds that nearly 40 years later still sounds excitingly alien. You can listen below. Performers from this week’s Smart Bar celebration talk to the Reader about artists who inspire them.